When our sponsor Collective Bias asked us to share about Spring Cleaning Tips, I knew I had to include these chore charts ideas in the mix. 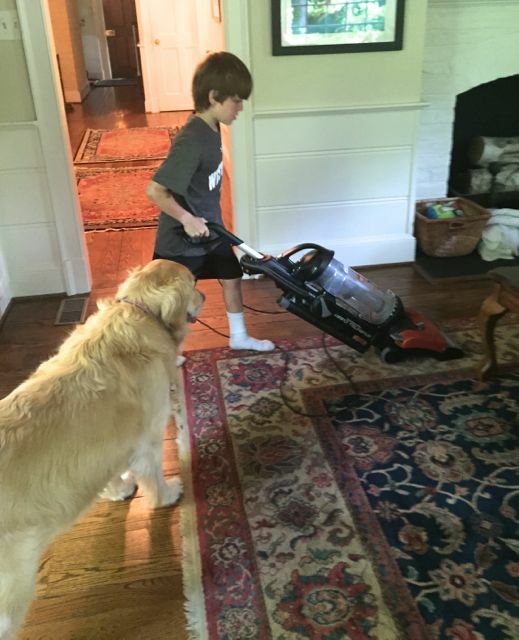 With kids that are in the tween and teen age range, I know how capable they are of helping around the house. This summer, I have all new chore charts ideas for them to really help with all of the household tasks. I am excited to share not only some chore charts ideas but also useful tools and cleaning tips with you. We already have a chore chart for the school year, but with them being home more this summer, we are adding a few things to make everyone happier. I think there is one kid in every family that you can ask to do a random chore without getting any grief. That is my youngest and a few weeks ago, while in my spring cleaning mode, I asked him to take scissors and cut out all the gunk from one of our older vacuums. Thanks to his willingness it freed up some time to make a special dessert that night. Win win for everyone. But why should the same kid do all the less than desirable chores? The result was an updated list of chore charts ideas and some great summer cleaning tips and tools to get your kids really involved even though they are taking their summer break. 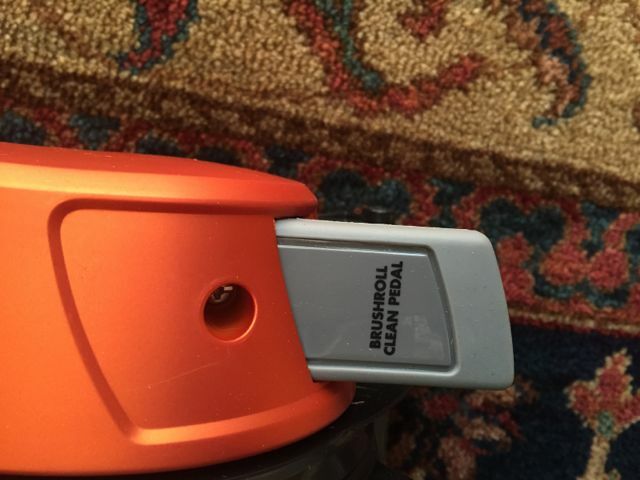 Cleaning the old vacuum was an unwelcome task for everyone, but that has changed now and you should have seen the look on my youngest’s face when we received the Eureka Brushroll Clean™ with SuctionSeal® in the mail. He not only helped me assemble the vacuum, but he was the first one to use it! As you can see, we have dog hair issues and this vacuum did just the trick to clean things up easily! If you are new to the blog and have not seen the occupants, mainly this furry little creature, there is a lot of hair to clean up daily. Our pets are part of the family, but since they can’t always clean up after themselves, there are some simple cleaning tips we use for pet hair. Vacuum using a vacuum designated for pet hair on a regular basis. Don’t put cleaning off until it is so bad it becomes a big chore. 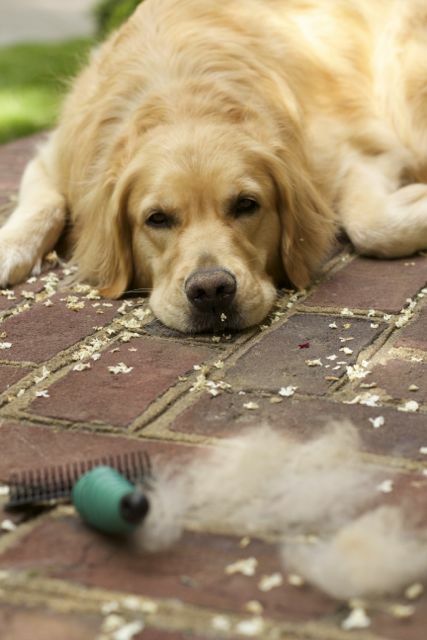 Brush your pets regularly to eliminate some of the shedding of hair your pet does. Use furniture attachments to remove pet hair from upholstery. If you get grossed out by things don’t look down, this is our older vacuum after several weeks of not cleaning it. Yes someone will have to grab the scissors for this one. 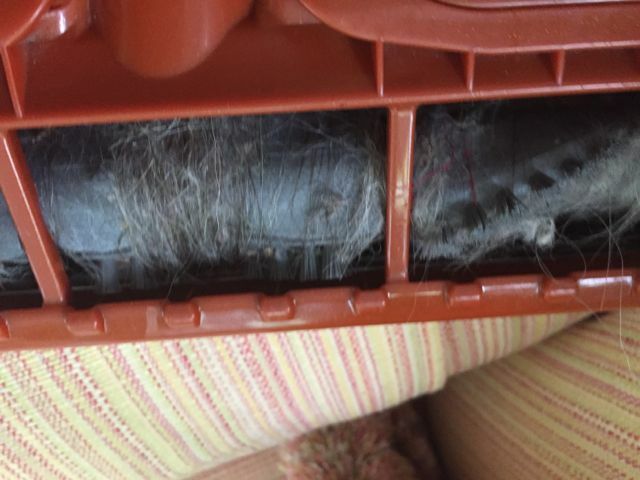 Kind of gross, but it shows you how much hair gets on your vacuum. This isn’t a problem anymore with our Eureka Brushroll Clean™ with SuctionSeal®. Not only does it have Eureka’s AirSpeed making the flow of air from floor to bin as efficient as possible but the SuctionSeal makes it easy to raise or lower the head to maximize suction against whatever floor it is that you’re cleaning. Perfect for homes like ours that has a lot of area rugs. The picture below is my brush roll after just two days on the job. You can already see a huge difference. 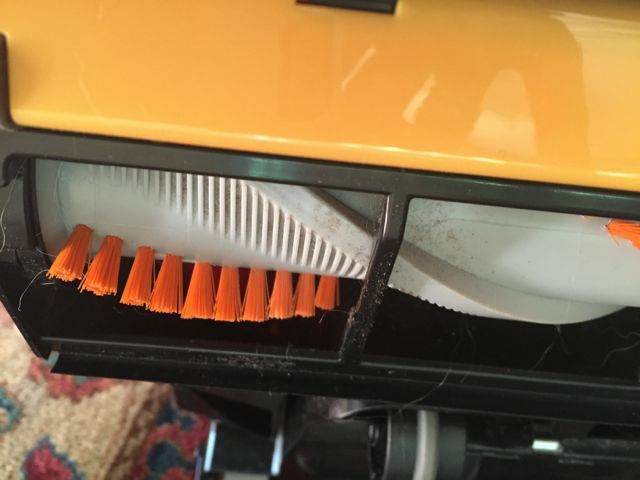 Put away the scissors, with a quick push on the brush roll clean pedal all the gunk and hair that is stuck on your roller is cut and you just have to pull out! A Self Cleaning Brush Roll, what is better than that!! Here is the after shot, just a quick tug of the brush roll hair and its clean again. Now, I want to share not just our cleaning tips and great cleaning tools with you, but also, a fun chore charts idea that works great for our family. Since I don’t like making kids do the same chores over and over without a break, I prefer a dry erase option like below to really make it simple to switch things up. This helps them not be bored, and it keeps all of the household chores completed easily. Print out or purchase removable stickers for your kids to place over their initial when the chore has been completed. I love that this makes it easy for the kids to quickly identify what is their responsibility, but also helps me to know who is slacking off. You can do this with a chalkboard calendar, dry erase calendar or even a printed calendar you may make yourself. The biggest thing to remember is that you want the flexibility to mix and match chores so kids don’t get bored and frustrated. 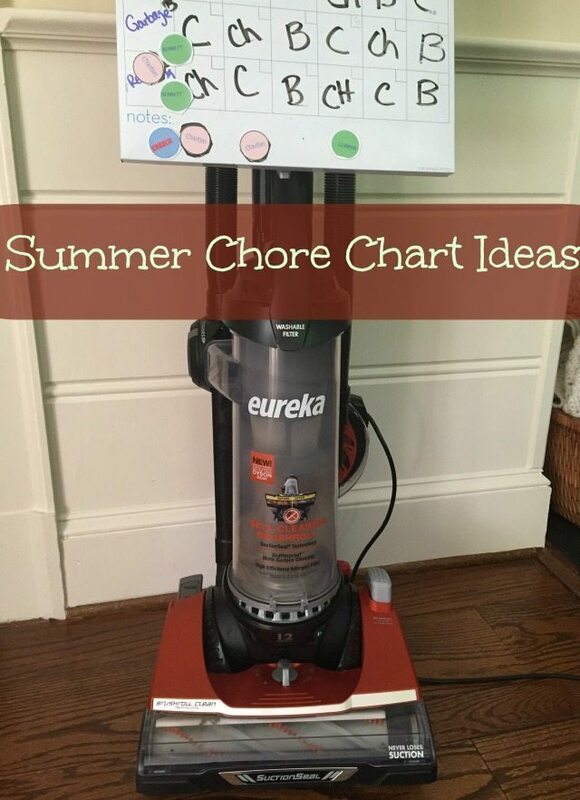 I am excited to see how these cleaning tips and chore charts ideas along with our new Eureka vacuum keep the kids on top of their summer chores this year! I definitely have to make a chore chart for my kids. We have 4 dogs so we have a ton of fur flying in the summer and vacuuming is a must! I don’t have a need for a new vacuum right now but that one sure looks great if I’m ever in the market for a new one. Loving the chore chart too. We used to have a Newfoundland so I totally relate to all that hair! Your hired! Oh, wait, LOL! I’m super motivated! So much great information here, great pics! I’m happy to get in the mood for cleaning! Very inspired! 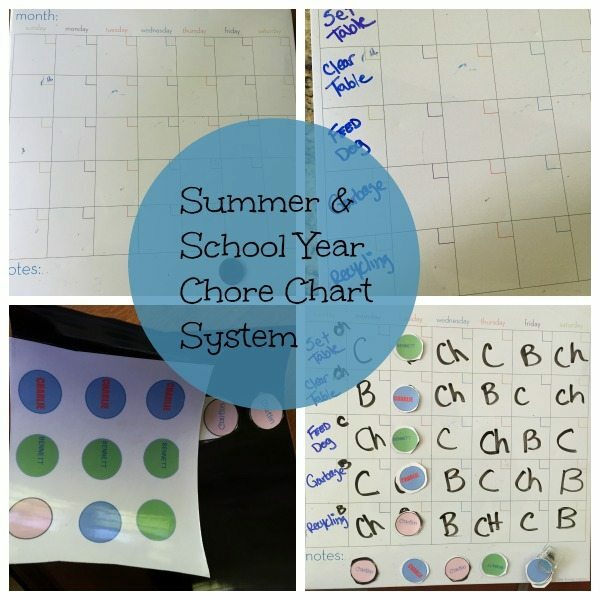 I love the idea of making a chore chart for the kids. It makes life so much easier. With a dog and a cat in our household, we have pet hair everywhere. We should vacuum every day. That will definitely help get a head start on the cleaning. You’ll want to spend as much time outside as possible so getting everything clean beforehand is perfect. The dry erase board is a great idea! Wow, that brush roll cutter is so great! Using scissors to do that is just not cool! I’ll be looking into this vacuum for sure! 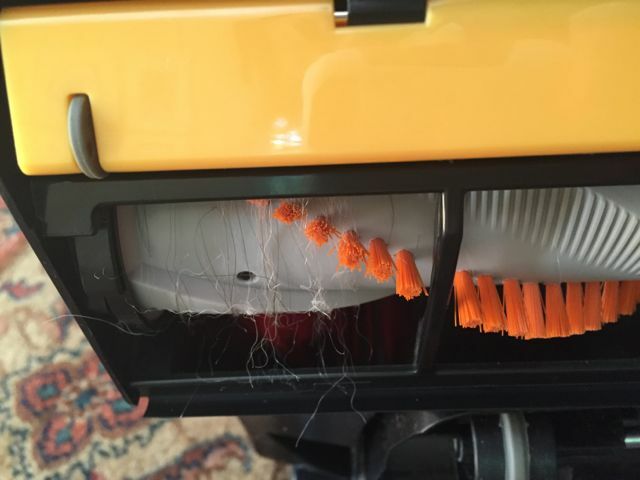 I am always amazed at the amount of hair that gets stuck in the roller! I am glad you found something that your little one enjoys doing! Your pup is too darn cute! This is the first spring we have three pets and also the first spring my daughter has taken an interest in helping with chores, so I appreciate this post very much. I could use a new vacuum. I use it just about everyday what with the full house and the dog.